So last month I posted a recipe on my blog Play with your food for a squash soup. The recipe came from Food Network magazine, but the original recipe was sadly flavorless and bland. I decided to revisit the recipe and spice things up a bit. I now have a wonderful recipe for Curried Squash Soup that is 100 times better than the original. This soup is filling, flavorful and healthful. It’s perfect for the fall and winter season. You could never get this out of a can. Plus it made about 6 servings so My sister and I have plenty of leftovers that we can freeze and re-heat later. Make the soup: Melt the butter in a large saucepan over low heat. Add the onion and 1 teaspoon salt. Increase the heat to medium and cook, stirring occasionally, until the onion is soft, about 5 minutes. Add the garlic, curry, cumin and coriander. Cook an additional 2-3 minutes. Add the squash and sugar and cook, stirring, until glazed, 3 to 4 minutes. Add 5 cups broth and bring to a boil. Reduce the heat to low and simmer, uncovered, until the squash is tender, 15 to 20 minutes. Working in batches, transfer the soup to a blender, crack the lid to let steam escape and puree until smooth; return to the saucepan (or puree directly in the pan with an immersion blender). Stir in the yogurt, if desired. Season with salt and pepper, and top as desired. 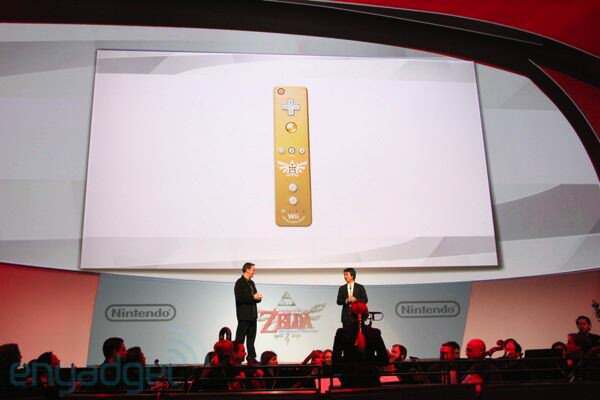 Gold Wiimote For Legend of Zelda: Skyward Sword!